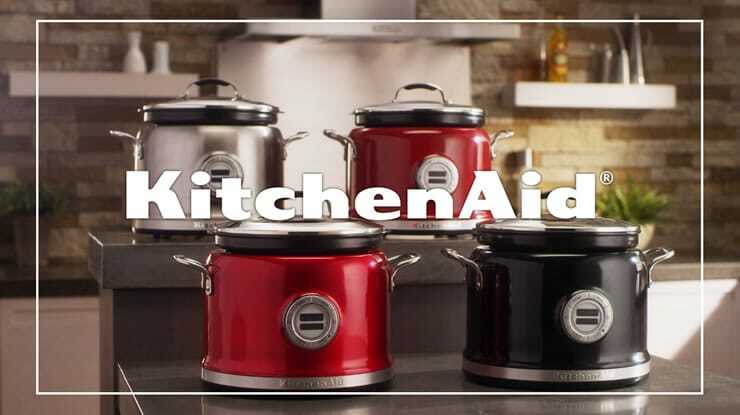 But for today, I told you I had one more trick up my sleeve this month, and here it is: For our last giveaway to help make one lucky reader’s October challenge easier in the kitchen, KitchenAid has offered up a 4-Quart Multi-Cooker with the Stir Tower attachment! The retail value of this versatile machine is $549.99, and with good reason: It’s the supercar of slow-cookers! With digital temperature control (from 110°F to 450°F), and over ten settings — risotto, rice, sear, sauté, simmer, soup, yogurt , boil/steam, slow cook high and low, keep warm — the options really are limitless. 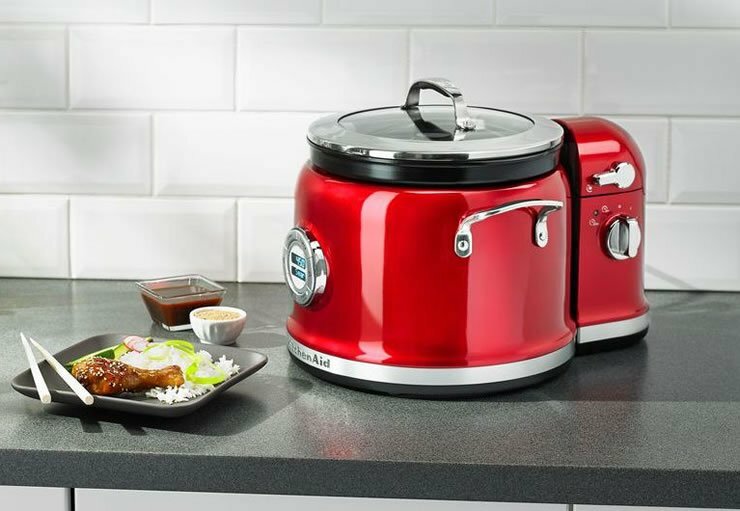 Update: At the time of this writing, you can actually get the Multi-Cooker with Stir-Tower Accessory on Amazon.com for $399… a significant discount off the retail price, of course. But what really “wowed” me is the Stir Tower accessory. It’ll mix, flip, stir, scrape and incorporate ingredients so you don’t have to. Imagine making risotto without all the stirring. Or how about making yogurt? Winning! The Giveaway Has Ended, thanks! Thanks to everyone who entered! Our winner has been picked and her prize is on its way (she chose Stainless Steel, in case you were wondering). 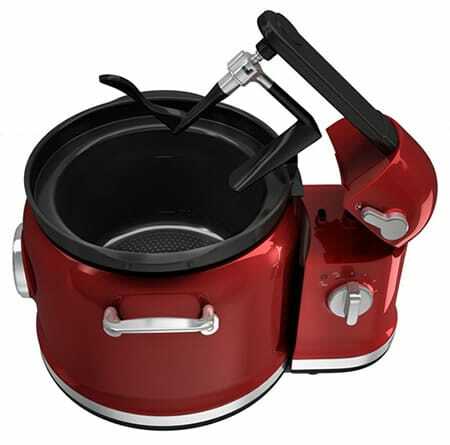 If you would like to get your own Multi-Cooker with Stir-Tower accessory, I recommend getting it from Amazon. Thank you to KitchenAid for donating this wonderful appliance, and to Isabel and Rachel for helping make this giveaway happen. Awesome. 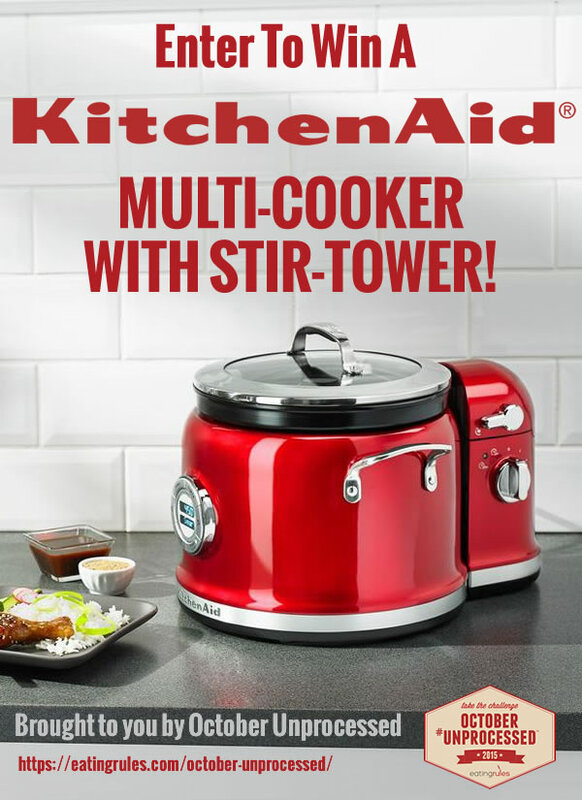 If I win the KitchenAid Multi-Cooker, the first thing I want to make is yogurt. I really want to make my own dairy-free yogurt. The country as a whole should try to purchase less processed foods. Looking forward to making hands free risotto! I would love to have this for making soups. Thanks!